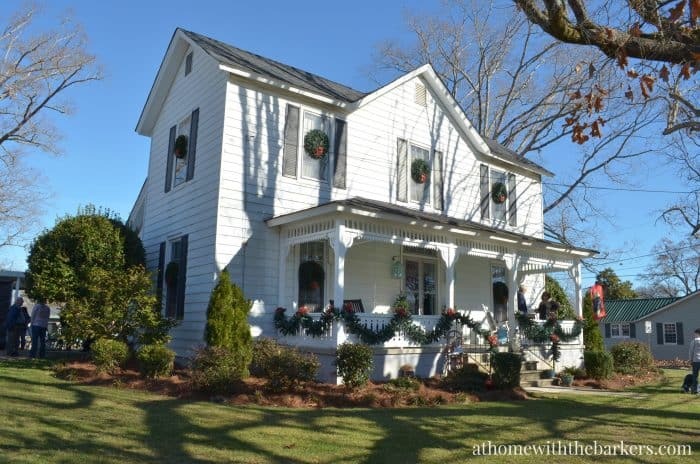 My aunt and uncle live in a beautiful old home on main street in our small town. Every year practically everyone we know gathers to watch the Christmas parade from their front yard. AND they serve the best homemade stew to everyone! This is small town living at it’s best and I love it!! 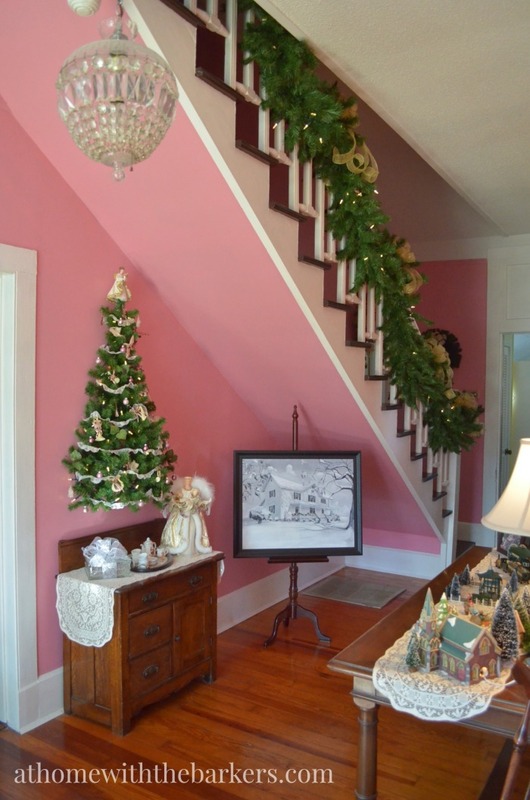 This year I thought I’d share some photos from their Victorian Christmas Home Tour. 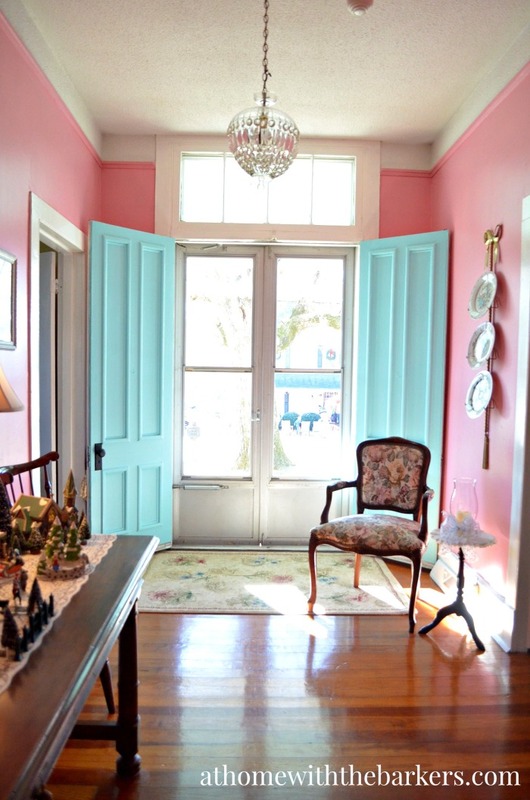 It has so many wonderful details…that porch railing alone is perfect! My uncle Tommy works hard at keeping all of the leaves out of the yard. As you can see with all of those huge trees, that is NO small task. 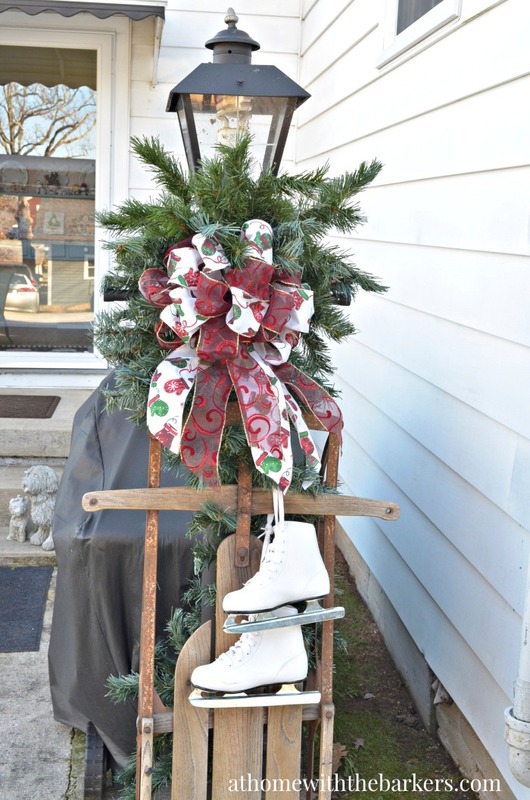 The back entrance to their home gets decorated as well. Now into the Foyer for the big WOW!! 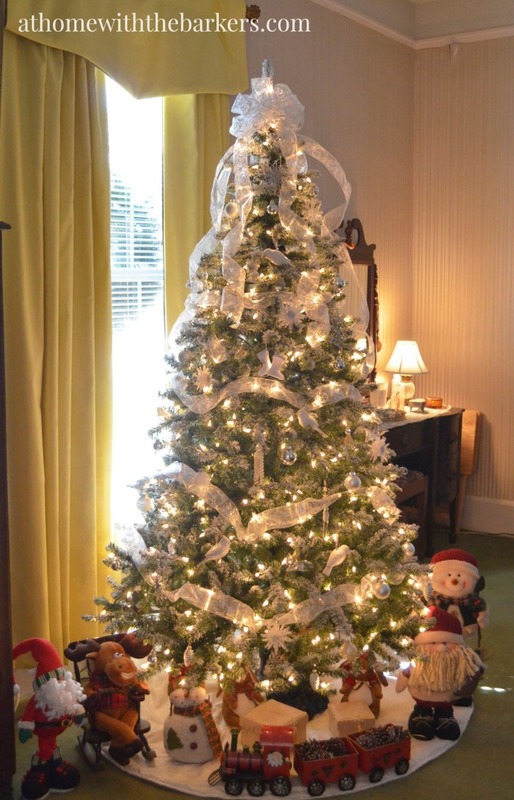 My aunt also puts a tree in the master bedroom. The Family Room tree has been the same for years, exactly as I remember it. Every present always has a perfect bow on it. My aunt Marsha is the queen of bow making! 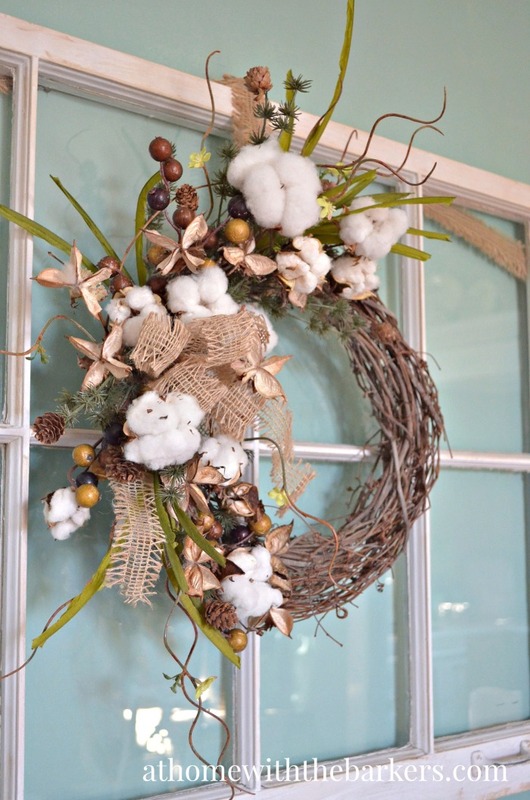 This was my FAVORITE thing…the cotton wreath! It looks so good. 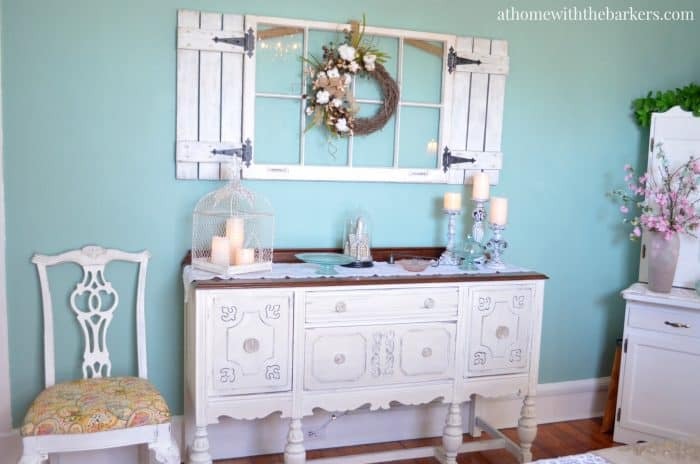 And everything in the picture from the buffet, the chair and the shutters are all DIY projects they’ve completed. All of the red and turquoise continues into the kitchen with the coffee bar. I love that cabinet curtain. 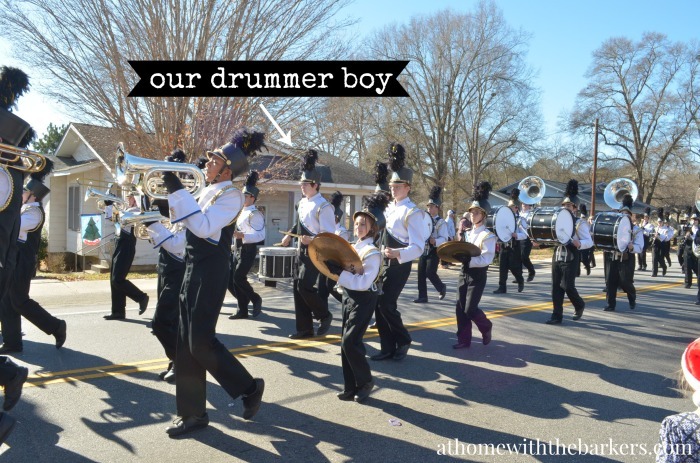 Other than vintage cars and Santa, here is the main reason I love the parade…the marching band and my favorite drummer! Thanks for letting me share a little about our traditions around here and I’m sure you enjoyed the tour. I hope you and your family are making memories and enjoying the season together. It is always so much fun! 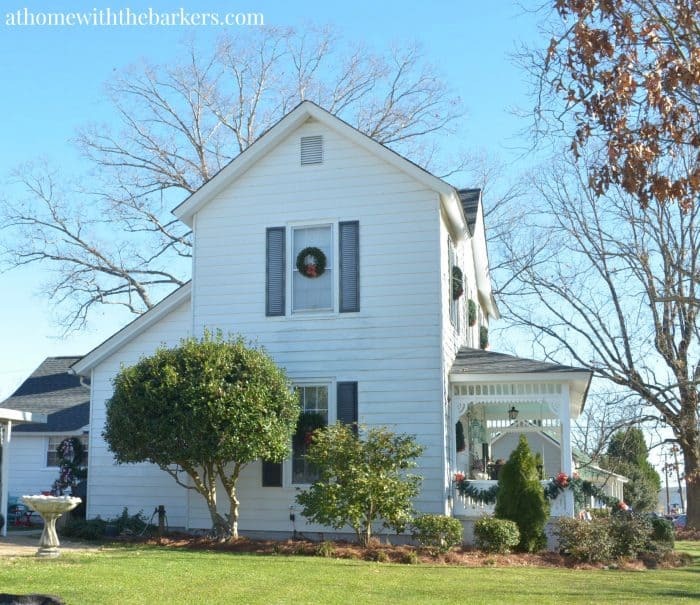 I just LOVE this home! Such a wonderful place filled with wonderful memories! What a wonderful tradition. You are blessed to have this family. Gorgeous home. Thanks for sharing. I want your Aunt’s house. I am actually drooling while I read this. It is absolutely beautiful! What a beautiful home and a charming town!! Small towns are the best! They ooze history and tradition. Your aunt and uncle’s house is one of my dream houses. (I have several.) I enjoyed the tour. I love your aunt and uncle Victorian home so beautiful!!! Thanks for sharing.. This is so cute and pleasant! 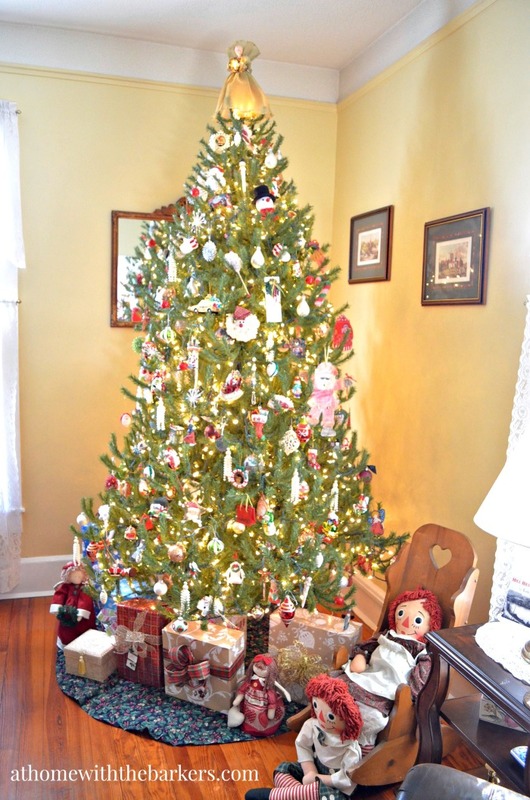 !… It speaks so much of your uncle and aunt, just brings a smile to see the chrishmas tress, the home drawn picture that they send as post card, the items and decoration. 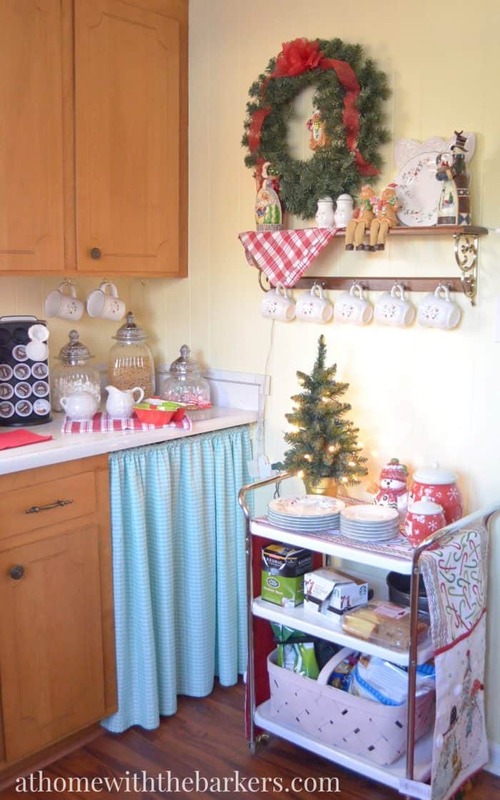 I never seen a more charming kitchen cabinet with a curtain down and so much of the Christmas effect in the shelf. Nice… Its very nice that your aunt gives something nice for everyone to eat while they watch the parade. Everything is delightful and fresh out there, with generosity and love. 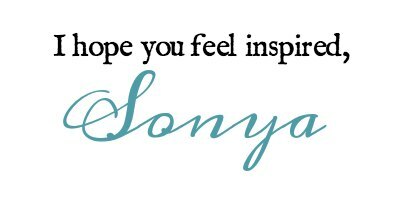 These days people are not close with their distant families like parents, uncles and aunts and grandparents, but people like you really keep everyone together and by spreading happiness and cheer and positivity. Cheers to all good and nice things.